Whether you’re anticipating your rail adventure across America’s western frontier and the points of interest along your route, or you simply wish to brush up on the history behind some of the USA’s most iconic rail routes, Vacations By Rail’s new Window Trip: Rail Journeys App offers unique insights and more. 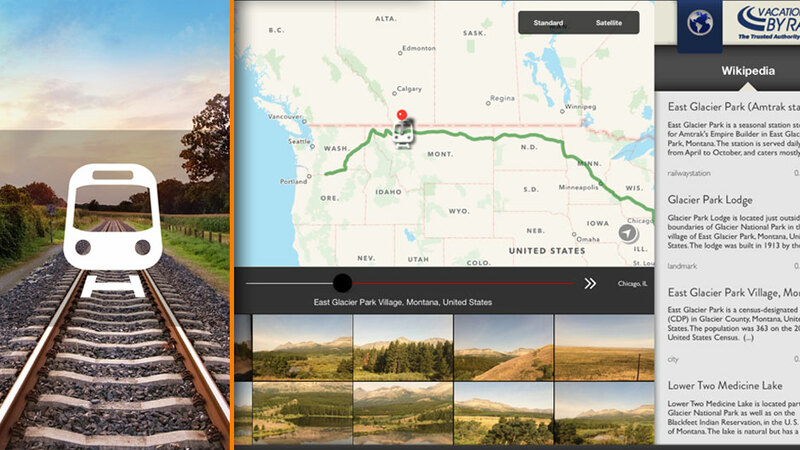 The free Window Trip: Rail Journeys App showcases journeys on the California Zephyr route (between Chicago and San Francisco), Empire Builder (between Chicago and Seattle), Southwest Chief (between Chicago and Los Angeles) routes, and more. Red Foundry worked hand in hand with Vacations By Rails to design, build, test, and launch this app featuring localized, route-based content and more. With geo-mapped images and content from around the web plus enhanced content curated by the Vacation By Rails team, you won’t miss any amazing points of interest. Another great travel app from Red Foundry.